It has been requested that this article be rewritten and expanded to have a more detailed introduction, as well as character descriptions. "SSBU" redirects here. For information about this game's Wii U predecessor, see Super Smash Bros. for Wii U.
Super Smash Bros. Ultimate is a game in the Super Smash Bros. series for the Nintendo Switch. The game was announced through a teaser trailer in the March 2018 Nintendo Direct, and was released on December 7, 2018. The game features 103 base stages and 74 base playable characters (with six more characters and five more stages as downloadable content), making it the largest Super Smash Bros. game in terms of content in the series. Super Smash Bros. Ultimate was made available for pre-order and pre-loading from the Nintendo eShop beginning November 1, 2018. The game takes up approximately 14.3 GB of the Nintendo Switch's memory. Super Smash Bros. Ultimate retains the series' basic gameplay elements, with several new mechanics and changes. As with previous installments, the objective of the game is to launch opponents off the stage. Players build each other's damage percentage through attacks, and the higher the percentage, the farther they fly when they are hit. This time, the damage display is in decimal notation, adding a tenth to the number. Additionally, when an opponent is launched, their launch speed is the fastest at the start, unlike in previous games in the series. During 1-on-1 battles, all fighters' attacks deal 1.2x their regular damage, which is done to "increase gameplay speed." Additionally, characters can use any ground attack out of a run (e.g. standard attacks, tilt attacks, smash attacks), while any aerial attack can be used while climbing a ladder, officially known as a "ladder attack". Three techniques are also introduced in Super Smash Bros. Ultimate: the Directional Air Dodge, Short-Hop Attack, and a new version of the Perfect Shield. The Directional Air Dodge, a technique carried over from Super Smash Bros. Melee, allows the player to dodge while moving at the direction they tilt , which can also be used for recovery. However, if a player dodges excessively—whether in the air or on the ground—they become more vulnerable to attacks, with less intangibility and lower dodge speed. The Short-Hop Attack is performed by pressing the attack and jump buttons at the same time, allowing the player to hop a short distance off the ground while performing an air attack; however, all short-hopped aerial attacks deal 0.85x their regular damage (excluding special moves, and certain states such as Peach and Daisy's Floating Jump attacks and the Super Leaf item). The Perfect Shield can be used to block attacks without depleting the user's shield. However, unlike in past installments, where it is activated by pressing the shield button before an attack connects, the Perfect Shield is instead performed by releasing the shield button just as an opponent's attack lands, nullifying the attack. During a match, the fighter that is in the lead occasionally emits a glimmer of light. If a match enters Sudden Death, unlike in previous games where Bob-ombs begin to drop after a period of time, the screen slowly zooms in on the center of the stage, shrinking the field of view and stage boundary and thereby making it easier for fighters to be KO'd. The Sudden Death mode is visually accompanied by flames that intensify as the screen zooms in on the stage. Bob-ombs still drop on the stage if enough time passes and no one is KO'd. As with Super Smash Bros. for Wii U, Super Smash Bros. Ultimate also supports Nintendo GameCube controllers. Super Smash Bros. Ultimate is available in 11 different languages: Japanese, English, French, Spanish, German, Italian, Dutch, Russian, Simplified Chinese, Traditional Chinese, and Korean, all of which are fully voiced. However the Chinese versions use the Japanese voice set, and some of the specific names (characters, stages, items etc.) are also not translated and use their English names instead, probably due to copyright reasons (mostly for third-party games) or they were not intended to have official Chinese versions for the original games. The player can also change the dialect for the English, French, and Spanish languages by changing the "Region" setting in the System Settings for the console (though in the case of English, it only changes the names for certain characters, stages etc., such as Duck Hunt being called "Duck Hunt Duo" and the Find Mii stage into "StreetPass Quest"). Before starting a match, the player can create their own preset rules, such as the number of stocks and time limit, which they can quickly select at any time. In addition to Time and Stock modes, Stamina mode is now a standard mode alongside the aforementioned two, and no longer a part of Special Smash. Stocks can also be added to Stamina mode - and it can now be played online. 8-Player Smash also returns from Super Smash Bros. for Wii U, and can now be played on any stage from the start. A new rule option added to Super Smash Bros. Ultimate is the Final Smash Meter, which appears below each fighter's damage meter and fills up as the player takes damage from opponent attacks, similar to Little Mac's Power Meter. Once it is full, the player can then use a Final Smash. These Final Smashes deal less damage and knockback than regular Final Smashes obtained from Smash Balls, and like them, only one can be used at a time. Squad Strike (Japanese: 団体戦 Dantaisen, Team Competition) is an elimination-style battle mode added to Super Smash Bros. Ultimate. The player can choose between 3-on-3 or 5-on-5 Squad Strikes, which can be carried out with one player on each side playing as three or five characters, or three or five players on each side each playing as one character. In a Squad Strike, both sides battle each other as the three or five characters consecutively in one battle. Characters can only be picked once per team, including amiibo fighters. 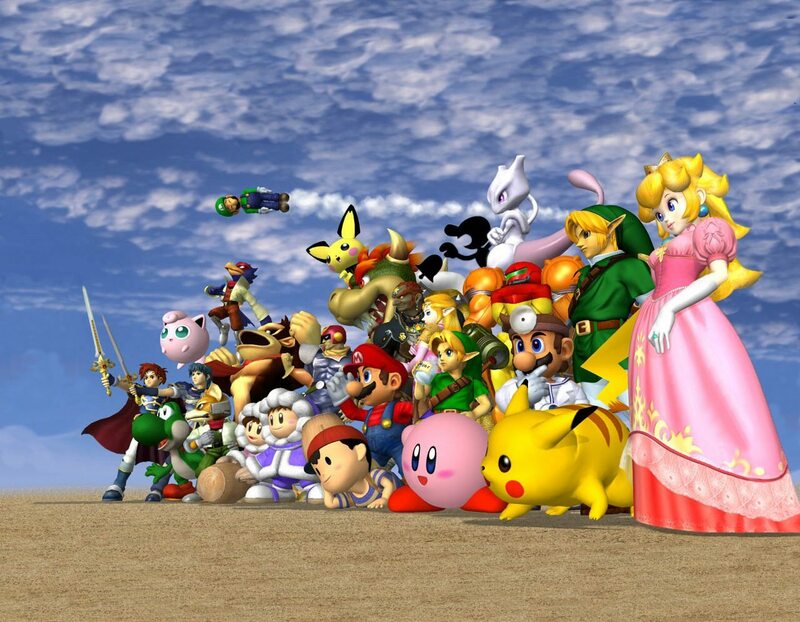 Tourney returns from Super Smash Bros. Brawl, allowing up to 32 participants to compete. After selecting the number of total participants, number of CPU players and tourney type, the game automatically generates a tournament bracket. This mode is also compatible with amiibo fighters. In a new Special Smash mode, Smashdown (Japanese: 全員バトル Zen'in Batoru, All-Members Battle), players enter a series of matches selecting a character for each one. After one match ends, however, the characters used in that match are no longer available for subsequent matches, forcing players to select a different character for the next one. Smashdown is the only mode which supports 8-Player Smash. Classic mode returns from previous installments, returning to its original format last seen in Super Smash Bros. Brawl, in which the player fights multiple opponents in a linear series of matches to reach the end. This time, each fighter has a set series of opponents to face. Unlike Classic Mode's previous incarnations, the player is always given one stock, never being able to adjust the stock number before initiating the mode. When the player is KO'd, using a continue no longer causes the current match they are in to restart; instead, the match begins right where it left off, but the player starts with 0%. At the end of each path, the fighter has a specific boss they are required to fight. The Adventure mode in this game is called World of Light. It has a board game-like map, and elements and maps based off of various games have been shown; Warp Pipes and ! Switches are noticeable. Unlike the Subspace Emissary, which is very plot-heavy, World of Light is used to demostrate the functionalities of spirits and spirit battles, and has a very loose plot to leave the player free to explore the light and dark realms of the Adventure mode. World of Light also has considerably fewer cutscenes than the Subspace Emissary, though most of them are silent, akin to Subspace Emissary's cutscenes; the lone exception being the introductory scene. During the events of the Adventure mode, a monster called Galeem defeats all of the fighters except Kirby, imprisoning them in the eponymous World of Light, where they are cloned and their clones are possessed by spirits, which are the other victims of Galeem's attack. Once Kirby has freed the fighters and spirits in the Light Realm and defeated Galeem, a new monster named Dharkon appears, opening a path to the Dark Realm, forcing Galeem to retreat. 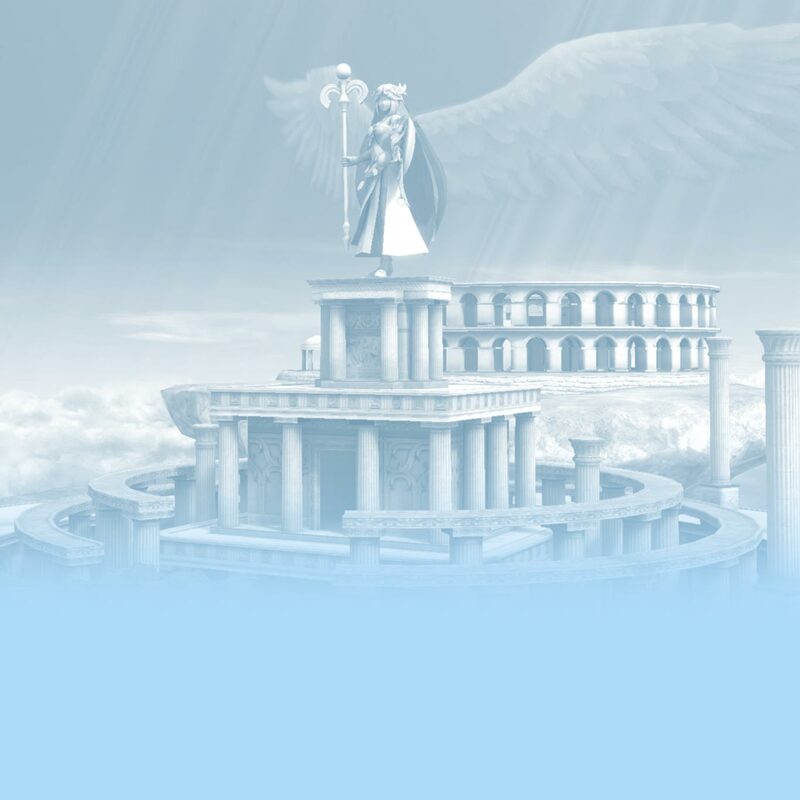 When Kirby frees the remaining fighters and spirits in the Dark Realm (as well as defeating Dharkon), Galeem appears to confront Dharkon, putting the player in a third realm: a mixture of the Light and Dark Realms. Three endings exist in the Adventure Mode: two bad endings with Galeem or Dharkon respectively, and a true ending with both bosses. 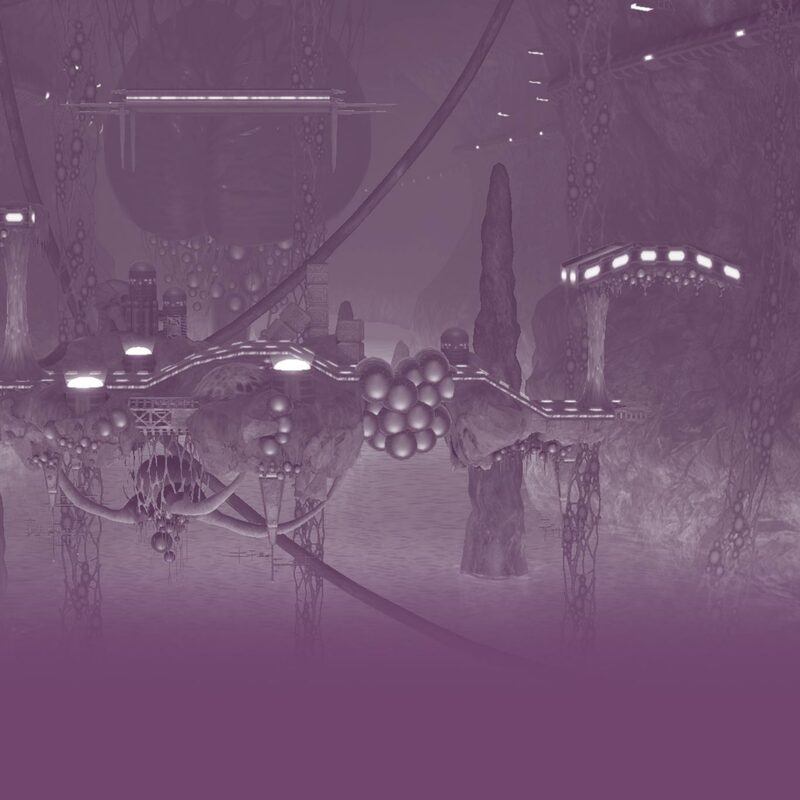 The first ending is achieved by defeating too many dark puppet fighters, thus forcing the player to fight Galeem; when Galeem is defeated, Dharkon destroys Galeem and his army, encroaching the universe in darkness. 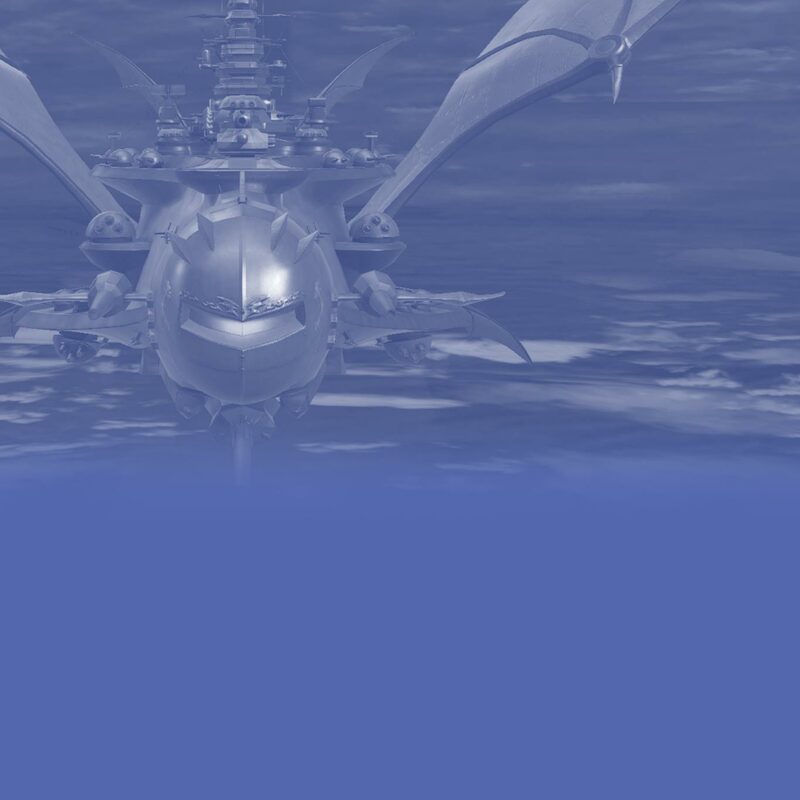 The second ending is achieved by defeating too many light puppet fighters, thus forcing the player to fight Dharkon; when Dharkon is defeated, Galeem unleashes another wave of light, essentially engulfing the universe in light again. The third ending is achieved by defeating an equal number of light and dark puppet fighters, making the player fight both Galeem and Dharkon simultaneously; when the player wins, the universe is restored to its original state, while all spirits fly back to their original worlds. Training mode lets players practice and experiment with characters' moves, items and the CPU as well as manipulate gameplay elements (such as game speed and damage), also returning from previous installments. The mode now features an exclusive numbered, grid-like stage, which allows the player to measure distances such as jump height and projectile range. In addition, it is now possible to toggle whether or not to show the trajectory at which the CPU would be launched from an attack at 50% damage in the form of a green curve, alongside the trajectory if they would be launched at 0% damage (a red curve) and 100% damage (a blue curve). Unlike Super Smash Bros. for Nintendo 3DS / Wii U, this mode is also compatible with amiibo fighters. In addition to introducing new characters, Super Smash Bros. Ultimate features every previously playable character in the series. Counting Pokémon Trainer and his/her Pokémon as a single fighter and the three Mii Fighter types separately, a total of 74 fighters, including 7 Echo Fighters (certain characters, mainly newcomers, whose movesets are heavily derived from those of other characters, and are represented by an epsilon symbol "ε"), are playable in the Super Smash Bros. Ultimate base game. It has also been confirmed that 6 fighters will be released after launch as DLC. The number beside each playable character (excluding Echo Fighters) signifies the order in which they were announced to be playable in the Super Smash Bros. series; in the case of the unlockable characters from Super Smash Bros. Melee, their order is based on the number of Vs. matches required to unlock them in that game. The starting roster consists of the eight starting fighters from the original Super Smash Bros., as well as the ability to create a Mii to include them as starter characters; the rest of the roster needs to be unlocked. Super Smash Bros. Ultimate features eleven base newcomers (five being Echo Fighters) and six downloadable characters. Five out of the six DLC characters can be purchased via the Fighters Pass or individually upon release. Piranha Plant, who was made available for free to players who redeemed Gold Points from the game and was made available for purchase on a later date, is not included in the Fighters Pass. Characters marked with an asterisk (*) are downloadable content. Unlike in previous installments, stages are selected before characters in Super Smash Bros. Ultimate. 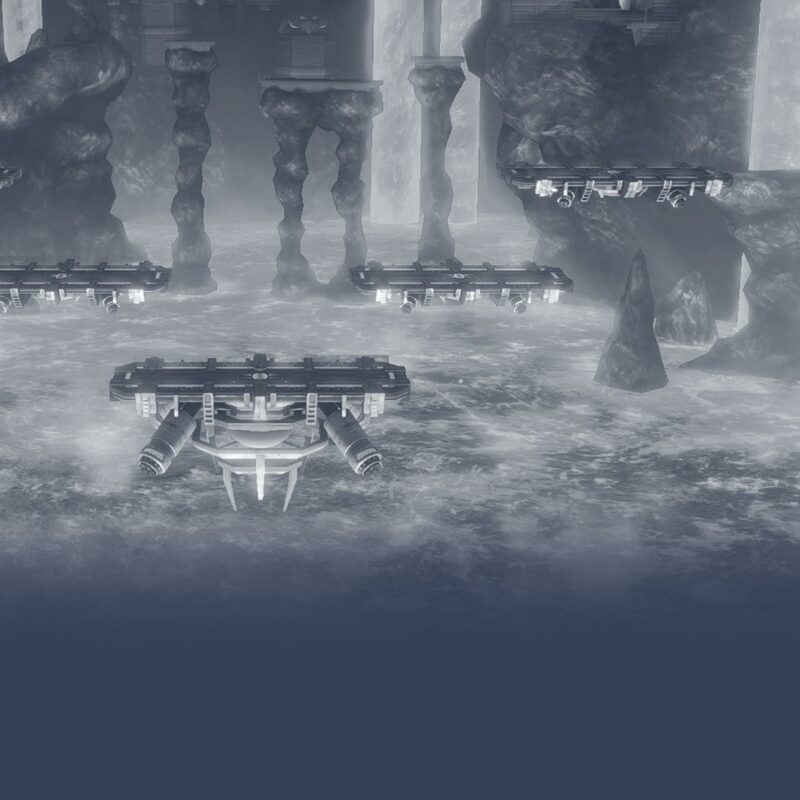 All stages can not only be played in their Final Destination form (known as Omega (Ω) form) as in Super Smash Bros. for Nintendo 3DS / Wii U, but also in a new Battlefield form, which adds three floating, pass-through platforms. 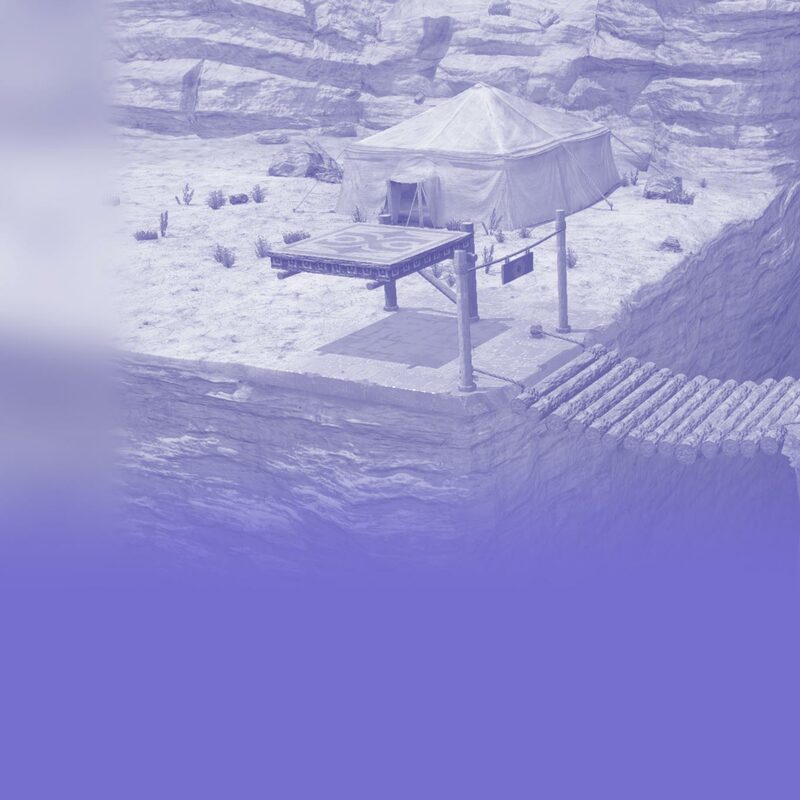 Like the original Final Destination and Battlefield, in both forms for all stages, the stage is set on a large platform floating over an abyss, as opposed to a large pillar with walls leading down to the bottom as is the case with several Omega stages in the previous installments. The player is also given the option to turn off stage hazards. A new feature added to Super Smash Bros. Ultimate is Stage Morph, which causes the stage on which players are currently fighting to transform into another stage in the middle of the match. The player can choose two stages for this function, and can also set the frequency at which they transform between each other. 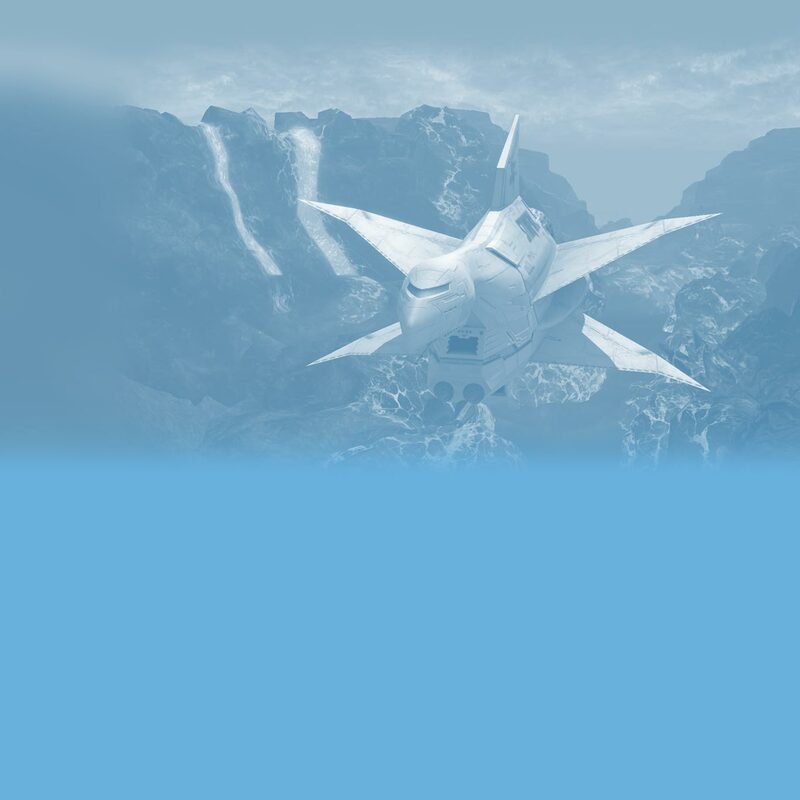 There are 103 stages in the base game, all of which are available from the start. There are also five additional stages planned to be released as DLC. The following list is sorted by the original Super Smash Bros. games in which they first appear. Stages marked with an asterisk (*) are downloadable content. Note that the most recently released software update must be downloaded in order to access Online. In addition, most updates invalidate replay data created before that update, making them unplayable, due to replays reading game data and inputting recordings of data live, rather than actual footage. Release dates are in Pacific Standard Time. Incorporated team colors when fighting false characters in the final battle. When matchmaking in Quickplay, the Format setting of one's Preferred Rules will be more highly prioritized. This may cause matchmaking to take more time, and there's still no guarantee that players find a match that has their exact Preferred Rules. The fighters that had specific adjustments are listed below. The player can no longer Z-drop items out of hitstun, weakening characters who were previously able to escape true combos by dropping their items. Fixed a glitch causing the 0.85× damage multiplier for short hopped aerial attacks to still be active during a full hop if the player performed a short hop and landed without attacking out of it. Piranha Plant added as a playable fighter, a fighter spirit, and two smash tags. This content is DLC. Pressing both jump buttons now inputs a short hop. Fixed an issue where the KO score included one's teammate KO when Team Attack is on. Characters now respawn in the center of omega-form stages instead of to the left. Patched out the infinite Assist Trophy glitch. Fixed a glitch where if Olimar had any Attack-increasing Spirits equipped, the Attack multiplier would be applied twice for any of his attacks. involving Pikmin, causing extremely large damage outputs. The song "Bein' Friend" was renamed to "Bein' Friends". Reversed the function of hide models when the camera get too close to the fighters in camera mode. A bug where the King K. Rool Adventure Challenge would not be noted as "completed", even if the player has completed said challenge, has been fixed. Added compatibility with the Young Link, Daisy, and Ken amiibo from the Super Smash Bros. line. If Challenger Pack 1 has been downloaded, the Joker (Student) Fighter Spirit can appear in the Vault Shop. Replays that have been converted into videos can now be edited. Stages, Mii Fighters, replays, and videos can now be uploaded online and downloaded. Synchronization with Smash World (a service available through the Nintendo Switch Online mobile app) is now possible. Players with similar Global Smash Power are matched more often in Quickplay. Joker added as a playable fighter, two fighter spirits (Joker (Phantom Thief) and Joker (Student)), and two smash tags. Challenger Pack 1 is required to access this content. Mementos added as a stage, with music from the Persona series (Challenger Pack 1 required). Fixed a bug that caused the game to freeze when Joker's Final Smash is used in Classic Mode. In addition to the fighter amiibo, some other amiibo can summon spirits, such as the Tom Nook amiibo being able to summon a Tom Nook spirit. 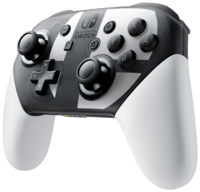 A Super Smash Bros. Ultimate-themed Nintendo Switch Pro Controller will be available at launch, which can be purchased individually or as part of a bundle that also includes the game and a black steel case with the flaming Super Smash Bros. emblem seen in the game's March 2018 teaser. A silver 1.5" coin will also be included in the bundle as a bonus item when purchased at Best Buy. 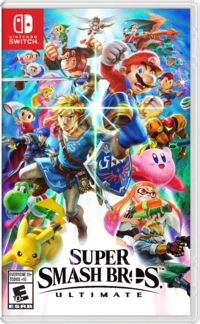 A bundle containing a specially designed Nintendo Switch console and a download code for the game was released on November 2, 2018, though the download code couldn't be used until the game's release on December 7, 2018. The console features a design of the original eight Super Smash Bros. series characters on the front of the dock, as well as the Super Smash Bros. symbol printed across the Joy-Con. A Super Smash Bros. Ultimate-edition Nintendo GameCube Controller and the GameCube Controller Adapter previously released for Super Smash Bros. for Wii U also released on the same day. Super Smash Bros. Ultimate has received widespread critical acclaim. Nintendo Life 10/10 So how does it all stack up? Vocal concerns about past games have been actively addressed, every single fighter from the series is present (even Pichu), the customisability is overwhelmingly vast and it’s all topped off with super-solid single-player modes to boot. We’re not sure how you could make a more robust or pleasing Smash game. Super Smash Bros. Ultimate truly is the ultimate instalment in the series, and it makes you wonder where Sakurai can possibly take this franchise next. Destructoid 9.5/10 For the first time in a long time, I'm overwhelmed. There's so much to do either by yourself or with a group, not accounting for the fact that I needed to bring every single character into the lab (training) and try out each stage, which I did for this review. I didn't even mention the music player (which kids in Japan will love) that pops 800 tracks off like a boom box. The score is its own achievement with famous collaborators in tow and beautiful remixes aplenty. I spent an hour making Mii fighters for chrissake. I've used phrases that evoke the monumental achievement that is Super Smash Bros. Ultimate a few times in this review and I can assure you it's not hyperbolic. Despite that a lot of the old content isn't as hard-hitting the second, third, fourth, or even fifth time around, the fact that it's all here, and in a manageable file size, is more than enough. After this (and Geno/Waluigi DLC) Sakurai can rest easy. IGN 9.4/10 Super Smash Bros. Ultimate lives up to its name, offering the most comprehensive game in the series to date. It has an absurd amount to play, fight, and unlock – though that can be to its detriment at times. While the World of Light adventure mode isn’t reason alone to get Smash Bros., it’s still a consistently amusing and shockingly large campaign, and a worthy compliment to Ultimate’s incredible multiplayer core. The Smash Bros. series has always maintained a wonderful balance of chaotic beat-em-up fun and tense fighting game action, and Super Smash Bros. Ultimate refines and improves on both sides of itself without abandoning either one. GameSpot 9/10 An inconsistent online mode and situational downers don't stop Super Smash Bros. Ultimate from shining as a flexible multiplayer game that can be as freewheeling or as firm as you want it to be. Its entertaining single-player content helps keep the game rich with interesting things to do, as well as bolstering its spirit of loving homage to the games that have graced Nintendo consoles. Ultimate's diverse content is compelling, its strong mechanics are refined, and the encompassing collection is simply superb. As of January 31, 2019, Super Smash Bros. Ultimate has sold 12.08 million units worldwide, making it the third best-selling first-party game on the Nintendo Switch. Final Destination in the E3 demo was simply the Omega version of Battlefield, as the final design was not revealed at the time. Ridley has two alternate costumes based off of Meta Ridley, but they were not present in the demo, instead featuring black and white recolored Ridleys as placeholders. In the demo, Villager's seventh and eighth alternate palette swaps had light skin like in the previous game, while in the final game, they have dark skin. Similarly, the Pokémon Trainer's seventh palette swap had light skin, but was changed to dark skin in the final game. In the E3 demo, Sonic's fourth alternate costume used a pale blue shade of fur rather than white fur like in the previous game. This has since been fixed. In the E3 demo of the game, Mario, Pikachu, Villager, and Link's portraits used their in-game models as opposed to the renders made for them in the game. This has since been fixed. However, Link's hat in the Tunic of the Wild costume was pointed toward the top right, while in his official render, it goes behind his head and is pointed to the left. In the demo, the Ice Climbers on the character select screen always showed Popo in the front. The final game would show Nana in the front for the 5th-8th alternate costumes. Wario's buttons on his overalls in the E3 video were gold, as opposed to their usual white. However, in his default overalls artwork, they are white. A pre-release image of Luigi in his Waluigi inspired costume has the "L" colored green. 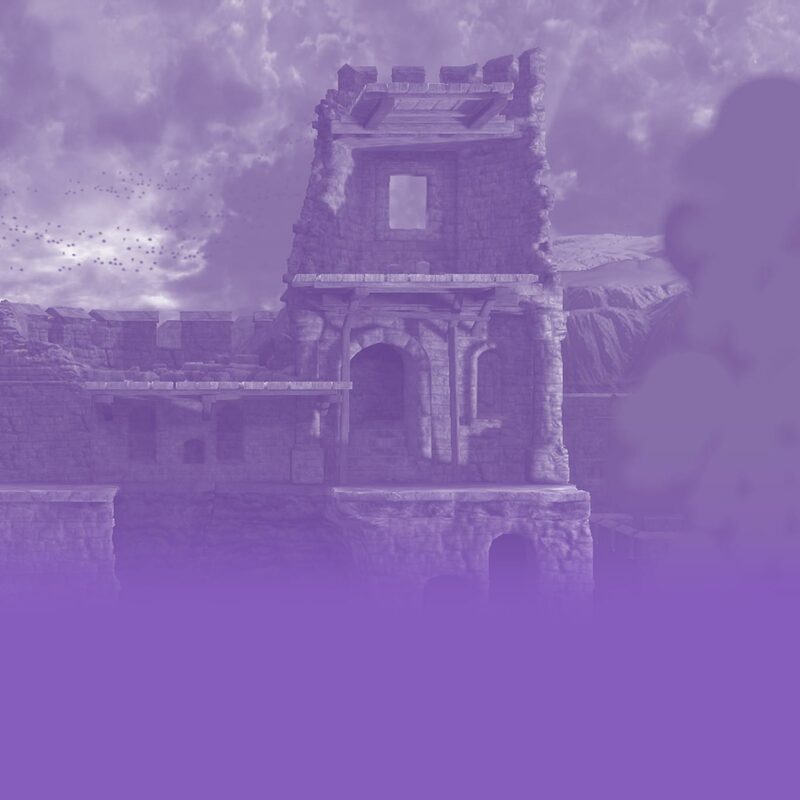 In the final game, it is colored purple, just like in Super Smash Bros. for Nintendo 3DS and Super Smash Bros. for Wii U.
Mario's victory theme used the full theme as with the previous games in the demo. In the final game, it is slightly abridged in the end. Fire Emblem victory themes used the same tempo as the previous games in the demo. In the final game, it is sped up. The Legend of Zelda characters, Pokémon characters and the Ice Climbers used their respective victory theme originating from Super Smash Bros. Brawl. In the final game, they each receive new victory themes which are shorter versions of the originals (the Legend of Zelda characters' uses a new arrangement altogether). Ness used his standard victory theme from Super Smash Bros. Brawl and Super Smash Bros. for Nintendo 3DS / Wii U, while in the final game, he and Lucas receive a new one based off of the final two of the Eight Melodies from EarthBound. In the demo, Corrin used the normal Fire Emblem victory theme with Marth and Ike, while in the final game, they have a unique victory theme, based off of "Lost in Thoughts All Alone" from Fire Emblem Fates. Ridley's victory theme sounds different in the demo compared to the final game. In Rosalina's character showcase video, her Final Smash Power Star took on the appearance of a Power Star just like in the previous game. However, in the actual game, the Final Smash now uses a Grand Star. In Pikachu's character showcase video, Mr. Game & Watch could be seen in normal form when using his forward smash based off of Fire Attack. In the final game, he takes on the appearance of the characters from Fire Attack just like many of his other moves. This had the unintended side effect of attracting criticism for its portrayal of a Native American stereotype (itself sourced from the original version of Fire Attack). Nintendo of America responded to the criticism by removing the feather via an update patch, similar to a previous change in its re-release in Game & Watch Gallery 4. During Olimar's character showcase video, his Final Smash End of Day did not show visible Bulborbs even though the chomping sound effects and visuals could be heard and seen. This was fixed in the final game. In the E3 demo, Ike did not speak during his victory poses. In Roy's character showcase video, he is seen with a new dashing animation, but in the final build of the game, he reuses his old dashing animation from the previous game. During Luigi's character showcase trailer, Dr. Mario's Super Sheet uses Mario's Cape animation, rather than the new animation specific to Dr. Mario. When King K. Rool used his Final Smash Blast-O-Matic in the early builds of the game, the target(s) would take damage before the laser actually hit Donkey Kong Island. This was later fixed. King K. Rool's Super Smash Blog entry on the official website refers to his down special move as "Stomach Attack." This would be changed to Gut Check in the final game. In the E3 trailer, King Dedede's eyes are wide open when he crouches. In the final game, they are partially closed. On the Super Smash Bros. Ultimate Direct on August 8, 2018, the description of the Smash mode was "Battle with up to 8 players in regular battle!" In the final version of the game, it instead says, "Battle up to eight fighters." The image for Smash mode was also different, with Mario, Link, Samus and Bowser. The final version has Kirby, Bowser, Mario and Pit. Pokémon Trainer's pre-release palette swap. Wario's default overalls costume with gold buttons instead of white ones. Luigi in his Waluigi-esque costume with a green "L" instead of a purple one. Mr. Game & Watch's Fire Attack forward smash which references a Native American stereotype. Donkey Kong: Donkey Kong and Lady appear as a spirit. A new medley of songs from this game, "Donkey Kong / Donkey Kong Jr.", is featured. Donkey Kong Jr.: Donkey Kong Jr. appears as a spirit using his artwork from this game. A new medley of songs from this game, "Donkey Kong / Donkey Kong Jr.", is featured. Mario Bros.: Sidestepper appears as a spirit. Donkey Kong 3: Stanley appears as a spirit. Wrecking Crew: A new medley of the main background music and Golden Hammer theme from this game appears in Super Smash Bros. Ultimate. Eggplant Man appears as a spirit using its sprite from this game. Super Mario Bros. / Super Mario Bros.: The Lost Levels: One of Simon Belmont's teaser screencaps depicts him about to use his Axe special attack on Bowser, indirectly alluding to how Bowser in the classic games was defeated with an axe destroying the bridge. Piranha Plant's green costume resembles its appearance in this game. Additionally, its blue costume resembles its appearance in underground levels. Super Mario Bros. 2: Pidgit, Wart and Mouser appear as spirits, using artwork from this game. An arrangement of the overworld theme is featured. Super Mario Bros. 3: Arrangements of the overworld theme, regular boss battle theme and Bowser's battle theme appear in the game. Super Mario Land: Tatanga appears as a spirit, using artwork from this game. Super Mario World: Chargin' Chuck appears as a spirit, using artwork from this game. Mario Paint: The flies and hand from Gnat Attack appear as an Assist Trophy and spirit. Wario Land: Super Mario Land 3: Wario's Dash Attack that debuted in this game now appears as his new dash attack. Wario's down throw now reflects the animation of the Ground Pound that debuted in this game as well. Donkey Kong Country: One of K. Rool's attacks involves throwing his crown as a boomerang, like in this game. A Klaptrap appears as an Assist Trophy, having the same behavior as in this game. It also appears as a spirit using its artwork from this game. A medley of "Bonus Room Blitz" (the Bonus Area theme) and "Simian Segue" (the map theme) and an arrangement of "Gang-Plank Galleon" appear in the game. 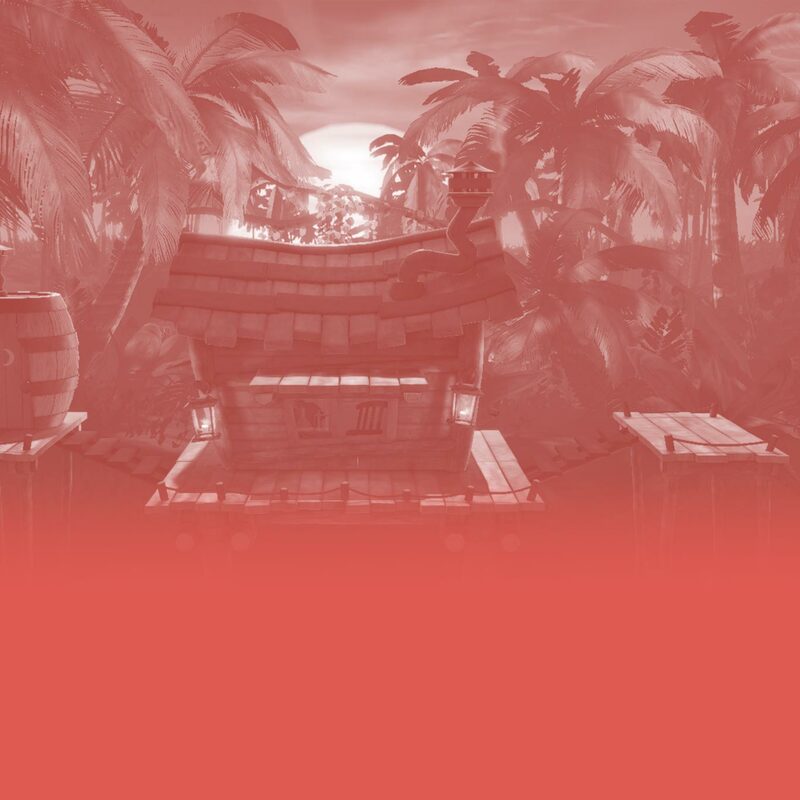 In addition, King K. Rool's gameplay trailer's opening segment features him aboard a ship in a reference to Gangplank Galleon. Winky the Frog appears as a spirit, using artwork from this game. "Funky's Fugue" and "Ice Cave Chant" are available as tracks. Super Mario World 2: Yoshi's Island: Bowser's appearance during his Final Smash is based on Baby Bowser's boss battle. Donkey Kong Country 2: Diddy's Kong Quest: One of K. Rool's attacks involves shooting with the blunderbuss he has in this game, and when he does so he dons a pirate hat like in his appearance as Kaptain K. Rool. Rattly the Rattlesnake, Squitter the Spider, Kaptain K. Rool, and Swanky Kong appear as spirits, using their artwork from this game. "Crocodile Cacophony" (Kaptain K. Rool's boss battle theme) gets a remix in this game as well. An arrangement of "Snakey Chantey", a song that plays in the level Rattle Battle, is featured as a track. Super Mario RPG: Legend of the Seven Stars: Geno appears as both a spirit and a smash tag icon. Mallow also appears as a spirit. Donkey Kong Country 3: Dixie Kong's Double Trouble! : One of K. Rool's attacks involves using his helicopter pack from this game. Artwork of Dixie Kong and Kiddy Kong in the Hover Craft appears as Dixie Kong's enhanced spirit. Ellie the Elephant appears as a spirit. 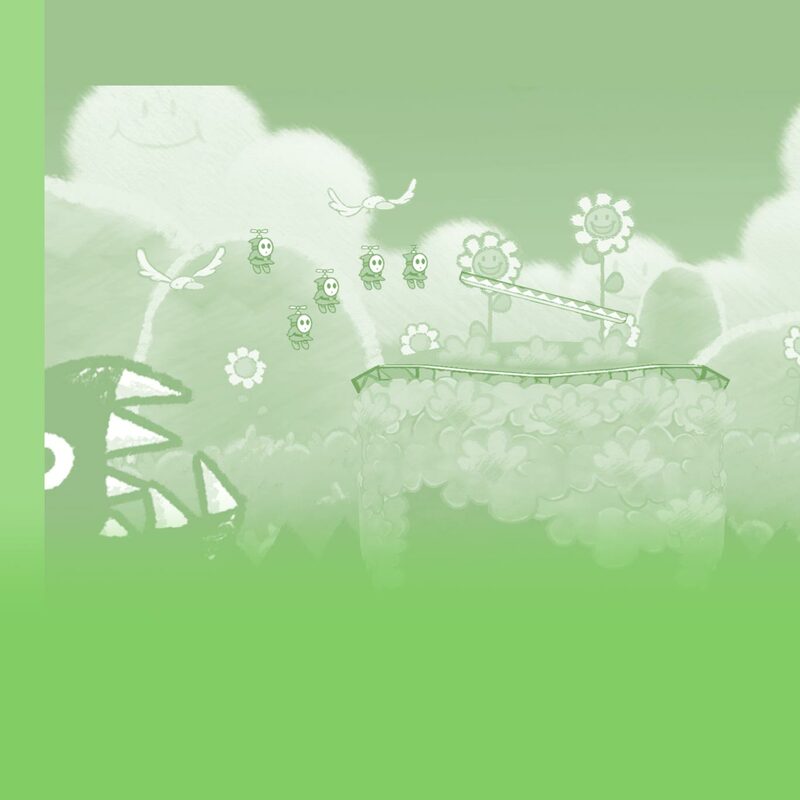 Yoshi's Story: Don Bongo, Pak E. Derm, the Super Happy Tree, and Blargg appear as spirits. Mario Golf (Game Boy Color): Kid appears as a spirit using his artwork from this game. Donkey Kong 64: One of K. Rool's attacks involves using his boxing gloves from this game, and his Final Smash recreates the Game Over scene involving the Blast-o-Matic being fired from Crocodile Isle at Donkey Kong Island. Tiny Kong and Lanky Kong appear as spirits using their artwork from this game. Paper Mario series: Piranha Plant takes on the colors of a Putrid Piranha for one of its attacks where it spews poison. Additionally, Piranha Plant's black costume resembles the Pale Piranha and its blue costume resembles the Frost Piranha. Paper Mario and Kammy Koopa also appear as spirits. Wario Land 4: Princess Shokora appears as a spirit. Luigi's Mansion / Luigi's Mansion: Dark Moon: Simon Belmont's debut trailer has Luigi being present in Dracula's Castle and attempting to ward off various ghostly creatures inside, alluding to the premise of the games. A new arrangement of the main theme from the former game appears in Super Smash Bros. Ultimate. Polterpup and Professor Elvin Gadd appear as spirits using their artwork from the latter game. The Poltergust 5000 from the latter game appears as a spirit. Luigi's final boss in Classic Mode being Dracula is most likely a reference to his dealing with similar spooks in the Luigi's Mansion games. Super Smash Bros. Melee: In the panorama group artworkMedia:Super Smash Bros. Ultimate - panoramic.png, Luigi is seen doing the Green Missile above the other characters, just like in the group artworkMedia:SSBM.jpg from this game. Yoshi's Final Smash is based on a scene from this game's opening. Yoshi's Island: Super Mario Advance 3: Baby Mario appears as a spirit, using artwork from this game. Super Mario Sunshine: An arrangement of Delfino Plaza's music appears in the game. Piantas, a Shine Sprite, and F.L.U.D.D. appear as spirits using their artwork from this game. Mario & Luigi: Superstar Saga: Prince Peasley appears as a spirit. Mario Kart: Double Dash!! : Baby Mario and Baby Luigi's artwork is used for the Goo-Goo Buggy spirit. Paper Mario: The Thousand-Year Door: Vivian and the Shadow Queen (in her form when possessing Peach) appear as spirits. Yoshi Topsy-Turvy: Hongo, the Spirit Who Loves Surprises, and Tap-Tap appear as spirits, using artwork from this game. Donkey Kong Jungle Beat: Donkey Kong's Final Smash is based on his combo punch attacks in this game. Karate Kong and Ninja Kong appear as spirits. Donkey Konga: King K. Rool's opening animation is taken from this game. Dance Dance Revolution: Mario Mix: Mario's down smash animation has been changed from the Sweep Kick move to his breakdance from this game. Super Princess Peach: Perry appears as a spirit. Mario & Luigi: Partners in Time: Princess Shroob appears as a spirit. New Super Mario Bros.: Lakitu and Spiny appear as a spirit, using their artwork from this game. Wario: Master of Disguise: Count Cannoli appears as a spirit. Super Paper Mario: Mr. L and Dimentio appear as spirits. Mario Strikers Charged: Petey Piranha and Waluigi appear as spirits, using their artwork from this game. Mario Party 8: Daisy's fighter spirit uses her artwork from this game. MC Ballyhoo and Big Top also appear as a spirit. DK: Jungle Climber: Zinger and Wrinkly Kong appear as spirits, using their artwork from this game. The second boss theme is featured as a track. Donkey Kong Barrel Blast: Kip and Kalypso appear as spirits. Super Mario Galaxy / Super Mario Galaxy 2: A Grand Star appears in Rosalina & Luma's Final Smash. The Launch Star, which is renamed Super Launch Star, appears as an item. The music that plays in the Melty Monster Galaxy appears as a track. Piranha Plant becomes a Prickly Piranha Plant when using its forward smash. Rock Mario, Lubba, and the Starship Mario appear as spirits. Super Smash Bros. Brawl: Petey Piranha's appearance in Piranha Plant's Final Smash is derived from his appearance in this game, where he holds cages. Galleom reappears as a boss in the World of Light: Adventure Mode, while the Ancient Minister, the Fighting Alloy Team, Shadow Bug, a Primid, Mite, Bytans, Roturret, Subspace Bomb, Duon, and Tabuu appear as spirits. Mario Kart Wii: Waluigi on the Standard Bike, Toad in the Cheep Charger, Koopa Troopa in the Standard Kart, and Dry Bowser all appear as spirits using their respective artwork from this game. Mario Super Sluggers: Petey Piranha appears as a spirit using artwork from this game. Wario Land: Shake It! : Captain Syrup and the Shake King appear as spirits using artwork from this game. Mario & Luigi: Bowser's Inside Story: Fawful appears as a spirit, which depicts his artwork from this game. Starlow and Broque Monsieur also appear as spirits. Bird & Beans: Pyoro appears as a spirit using his artwork from this game. New Super Mario Bros. Wii: Mechakoopa appears as a spirit using artwork from this game. Donkey Kong Country Returns: Rambi the Rhino, Cranky Kong, and Squawks the Parrot appear as spirits using their artwork from this game. Super Mario 3D Land: Boom Boom and Pom Pom appear as a spirit using their artwork from this game. Mario Kart 7: One of Daisy's taunts matches the artwork pose she originally had from this game. Metal Mario's B Dasher appears as a spirit. New Super Mario Bros. 2: Gold Mario appears as a spirit. New Super Mario Bros. U: Boo and Hammer Bro appear as spirits using their artwork from this game. Nabbit appears as a spirit. Mario & Luigi: Dream Team: Antasma and Prince Dreambert appear as spirits. Super Mario 3D World: Piranha Plant is in a pot for half of its costumes, resembling the Potted Piranha Plant. Cat Peach and Plessie appear as spirits. Donkey Kong Country: Tropical Freeze: Dixie Kong and Lord Fredrik appear as spirits using their artwork from this game. Yoshi's New Island: An arrangement of this game's main theme appears in Super Smash Bros. Ultimate. Yoshi carrying Baby Mario and a Mega Eggdozer, the Stork, and Little Mouser appear as spirits using artwork from this game. Mario Golf: World Tour: One of Daisy's victory animations is inspired by her birdie animation from this game. Similarly, one of Peach's victory animations resembles her hole-in-one/eagle animation, albeit without the parasol. Mario Kart 8 / Mario Kart 8 Deluxe: Luigi's Mach 8 appears as a spirit. The music for Excitebike Arena and Ice Ice Outpost are available as tracks. In World of Light, one of the available locations in Light Realm is based on a Mario Kart racetrack, with the MKTV logo visible in the background. Super Smash Bros. for Wii U: Big Urchin appears as a spirit using its trophy render from this game. Master Giant, Master Beast, Master Edge and Master Core appears as spirits. Captain Toad: Treasure Tracker: Shy Guy appears as a spirit using its artwork from this game. "Plucky Pass Beginnings", the theme of the Toad Brigade, as it is heard in this game, and "The King of Pyropuff Peak", the music played when Captain Toad is fighting a Draggadon, appear as tracks in the "Super Mario" series playlist. Mario vs. Donkey Kong: Tipping Stars: The title theme and the first track of Rolling Hills appear as tracks in the "Super Mario" series playlist. Mario Party 10: Yoshi has a new victory animation based on his 2nd-place winning animation from this game. Mario's fighter spirit uses artwork from this game. Yoshi's Woolly World: Yarn Yoshi and Yarn Poochy appear as spirits. A Woolly Yoshi Mii hat along with an outfit appear. Super Mario Maker: Mario has a new costume based on his builder outfit from this game. Mario Tennis: Ultra Smash: "Classic Tennis", a song in this game, is playable. Mario & Luigi: Paper Jam: Paper Bowser appears as a Battle Arena counter icon. The papercraft battle theme also appears in the game. Paper Mario: Color Splash: Paper Mario's spirit artwork comes from this game, albeit with the white outline removed. Huey also appears as a spirit. The battle theme from this game appears as a selectable song. Mario Sports Superstars: "Kingdom Stadium: Night", a song in this game, is featured. Mario + Rabbids Kingdom Battle: Rabbid Peach, Mega Rabbid Kong (named "Rabbid Kong"), and Rabbid Mario appear as spirits. Mario & Luigi: Superstar Saga + Bowser's Minions: A song played during Minion Quest: The Search for Bowser battles is featured. Super Mario Odyssey: Cappy makes an appearance as Mario's cap; one of Mario's new taunts features him tossing Cappy. Cappy also appears as a spirit. Occasionally, Mario's Super Jump Punch will feature the regional coins found in the Metro Kingdom in place of the standard coins, and plays the same sound effect as the one that plays when a new regional coin is collected. New Donk City Hall appears as a stage. Mario has a new costume based on his wedding tuxedo. The Odyssey, Peach and Bowser (wearing their wedding attire) appear as spirits. Mario Tennis Aces: Mario and Luigi have spirits using their artwork from this game. WarioWare Gold: Wario, 5-Volt, 9-Volt, 18-Volt, Ashley, Dr. Crygor, Dribble and Spitz, Fronk, Jimmy T., Kat and Ana, Mona, Orbulon, and Young Cricket appear as spirits, using their artwork from this game. Super Mario Party: King Bob-omb appears as a spirit using his artwork from this game. In addition, Peach's new yellow alternate costume resembles the effect she gets from drinking a Golden Drink. Additionally, Mario's Dice Block and River Survival appeared as limited-time spirits, obtainable during the "Oh Yeah! Mario Time!" spirit event that ran from December 27, 2018 to January 1, 2019. Luigi's Mansion 3: Luigi's new Poltergust G-00 was first shown off during Simon and Richter's reveal trailer, boasting its new design and the ability to fire plungers, and is used in his grab and throws. Yoshi's Crafted World: Yoshi has a new costume based on his appearance from this game, which also makes an appearance as a spirit. For this subject's image gallery, see Gallery:Super Smash Bros. Ultimate. Panoramic art, with all the characters in the base game. Mario, Link, Donkey Kong, and Inkling in Battlefield. On the German cover for the game, Yoshi was omitted from the boxart in order to fit the USK rating in the bottom left corner, while Pikachu, who was placed lower than Yoshi, was moved up due to its greater popularity. Super Smash Bros. Ultimate is the eighth Mario-related game to receive a PEGI 12+ rating in Europe, being preceded by the five prior Super Smash Bros. installments and the Virtual Console releases of Super Mario 64 DS and New Super Mario Bros.
Decimals have always been used for damage calculations since Super Smash Bros. Melee, but the damage percentages were always displayed as an integer on-screen. Super Smash Bros. Ultimate is the first time that decimal notations are shown in-game. This game marks the 100th performance credit of Charles Martinet as the voice of Mario, a landmark for which he received a Guinness World Record for the most video game voice-over performances of a single character. Luigi dies in Simon and Richter's announcement trailer after having his soul taken by Death. In response, BBC News made an article on Luigi's death. ↑ 1.0 1.1 1.2 1.3 1.4 1.5 1.6 Nintendo. (June 13, 2018). Nintendo Direct: E3 2018 YouTube. Retrieved June 13, 2018. ↑ Twitter - Nintendo of America Retrieved on March 8, 2018. ↑ 4.00 4.01 4.02 4.03 4.04 4.05 4.06 4.07 4.08 4.09 4.10 4.11 4.12 4.13 4.14 4.15 4.16 4.17 4.18 4.19 4.20 4.21 4.22 4.23 4.24 4.25 4.26 4.27 4.28 Nintendo. (August 8, 2018). Super Smash Bros. Ultimate Direct 8.8.2018 YouTube. Retrieved August 8, 2018. ↑ 5.0 5.1 Nintendo. (September 13, 2018). Nintendo Direct 9.13.2018. YouTube. Retrieved September 13, 2018. ↑ thegameawards. (December 6, 2018). The Game Awards 2018 4K Official Stream - December 6 LIVE YouTube. Retrieved December 6, 2018. ↑ 7.00 7.01 7.02 7.03 7.04 7.05 7.06 7.07 7.08 7.09 7.10 7.11 7.12 7.13 7.14 7.15 Nintendo. (June 12, 2018). Super Smash Bros. Ultimate Gameplay Pt. 1 - Nintendo Treehouse: Live | E3 2018. YouTube. Retrieved June 13, 2018. ↑ 31.00 31.01 31.02 31.03 31.04 31.05 31.06 31.07 31.08 31.09 31.10 31.11 31.12 31.13 31.14 31.15 31.16 31.17 31.18 31.19 31.20 31.21 31.22 Nintendo. (June 12, 2018). Super Smash Bros. Ultimate Gameplay Pt. 2 - Nintendo Treehouse: Live | E3 2018. YouTube. Retrieved June 13, 2018. ↑ Nintendo. (June 15, 2018). Super Smash Bros. Ultimate Gameplay Pt. 8 - Nintendo Treehouse: Live | E3 2018. YouTube. Retrieved June 15, 2018. ↑ 33.0 33.1 33.2 33.3 33.4 33.5 33.6 Nintendo. (June 13, 2018). Nintendo @ E3 2018: Day 2. YouTube. Retrieved June 14, 2018. ↑ 34.0 34.1 34.2 34.3 34.4 34.5 Nintendo. (June 12, 2018). Super Smash Bros. Ultimate Gameplay Pt. 3 - Nintendo Treehouse: Live | E3 2018. YouTube. Retrieved June 13, 2018. ↑ 35.0 35.1 Rage 2018 Summer - Ness vs. Mario - SSBU Demo. YouTube. Retrieved June 17, 2018. ↑ 38.0 38.1 38.2 38.3 38.4 38.5 38.6 Super Smash Bros. Ultimate Invitational (FULL). YouTube. Retrieved June 14, 2018. ↑ プレイ映像（2vs2/ステージ変化あり. YouTube. Retrieved August 21, 2018. ↑ 41.0 41.1 41.2 Super Smash Bros. Ultimate - Squirtle vs. Marth. YouTube. Retrieved June 14, 2018. ↑ GameXplain. (June 12, 2018). Super Smash Bros. Ultimate Gameplay - Ridley, Snake, Ganondorf, Pikachu on Battlefield. YouTube. Retrieved June 14, 2018. ↑ 43.0 43.1 GameXplain. (June 17, 2018). Super Smash Bros. Ultimate - 28 New & Returning Poké Ball Pokémon We've Seen So Far (+Stage Ones!). YouTube. Retrieved June 17, 2018. ↑ 44.0 44.1 Nintendo Treehouse Live - E3 2018 - Smash Bros. Ultimate #8. YouTube. Retrieved June 14, 2018. ↑ GameXplain. (June 17, 2018). Super Smash Bros. Ultimate 1 vs 1 Gameplay - Inkling vs. Champion Link on Great Plateau Tower. YouTube. Retrieved June 17, 2018. ↑ Nintendo. Super Smash Bros. Ultimate Update Ver. 2.0.0 - Fighter Adjustments Nintendo Support. Retrieved January 30, 2019 (PST). ↑ 47.0 47.1 47.2 Nintendo. (2018)  Australian amiibo Line-Up website. Retrieved October 18, 2018. ↑ 48.0 48.1 48.2 48.3 48.4 48.5 48.6 Nintendo. North American amiibo Line-Up website. Retrieved February 13, 2019 (PST). ↑ 49.0 49.1 49.2 Nintendo of America. (February 14, 2019)  Twitter post. Retrieved February 14, 2019 (PST). ↑ 50.0 50.1 50.2 Nintendo of America. (April 16, 2019)  Twitter post. Retrieved April 16, 2019 (PST). ↑ 51.0 51.1 51.2 Nintendo. (August 8, 2018)  Twitter post. Retrieved October 18, 2018. ↑ Although an Incineroar amiibo has not been shown, the November 2018 Super Smash Bros. Ultimate Direct mentioned that "an amiibo figure for every new fighter" is set to be released, which would include Incineroar. ↑ Although a Joker amiibo has not been shown, the November 2018 Super Smash Bros. Ultimate Direct mentioned that "an amiibo figure for every new fighter" is set to be released, which would include Joker. ↑ Best Buy. Super Smash Bros. Ultimate Special Edition - Nintendo Switch. Retrieved September 3, 2018. ↑ Nintendo. (November 6, 2018). 大乱闘スマッシュブラザーズ SPECIAL プレミアムファイト 東京大会 一般部門(準決勝～決勝)[Nintendo Live 2018]. YouTube. Retrieved November 10, 2018. ↑ Nintendo. (November 6, 2018). 大乱闘スマッシュブラザーズ SPECIAL プレミアムファイト 東京大会 小学生以下部門(準決勝～決勝)[Nintendo Live 2018]. YouTube. Retrieved November 10, 2018. ↑ Nintendo. (November 4, 2018). Super Smash Bros. Ultimate - Invitational individual en el Salón del Manga (Nintendo Switch). YouTube. Retrieved November 11, 2018. ↑ Nintendo. (November 3, 2018). 大乱闘スマッシュブラザーズ SPECIAL プレミアムファイト 東京大会 小学生以下部門(1回戦～5回戦). YouTube. Retrieved November 10, 2018. ↑ Grand Finals: vilxs (Daisy) Vs. sefi (Rosalina) Super Smash Bros Ultimate Gameplay Tournament. YouTube. Retrieved November 8, 2018. ↑ Nintendo. (November 1, 2018). Super Smash Bros. Ultimate - Isabelle & King K. Rool Gameplay - Nintendo Treehouse: Live. YouTube. Retrieved November 10, 2018. ↑ 65.0 65.1 65.2 Game Informer. (November 19, 2018). New Gameplay Today - Super Smash Bros. Ultimate's New Modes. YouTube. Retrieved November 19, 2018. ↑ 66.0 66.1 66.2 66.3 66.4 66.5 66.6 66.7 KingFera. (November 3, 2018). Sakurai Explains Spirit Mode at Nintendo Live 2018 | Super Smash Bros Ultimate. YouTube. Retrieved November 3, 2018. ↑ 68.0 68.1 AbdallahSmash026. (November 22, 2018). FIRST LOOK Gameplay of World of Light, Classic Mode, & Spirit Board! | Super Smash Bros Ultimate. YouTube. Retrieved November 22, 2018. ↑ 71.00 71.01 71.02 71.03 71.04 71.05 71.06 71.07 71.08 71.09 71.10 71.11 71.12 71.13 71.14 GameXplain. (November 18, 2018). All 448 Spirits in Smash Bros. Ultimate That We Know About IDENTIFIED! (+9 Mysteries). YouTube. Retrieved November 18, 2018. ↑ 72.0 72.1 72.2 72.3 72.4 72.5 72.6 72.7 72.8 Nintendo Wire. (November 19, 2018). Super Smash Bros. Ultimate | Spirits Mode Hands-On. YouTube. Retrieved November 19, 2018. ↑ 75.0 75.1 Easy Allies. (November 19, 2018). Super Smash Bros. Ultimate - Easy Allies Preview. YouTube. Retrieved November 19, 2018. ↑ 77.0 77.1 77.2 GameXplain. (November 19, 2018). We Played Smash Bros. Ultimate for 4 HOURS - Hands-On Preview (World of Light, Newcomers, & More!). YouTube. Retrieved November 20, 2018. ↑ 78.0 78.1 78.2 GameXplain. (November 3, 2018). TONS of New Super Smash Bros. Ultimate Details! Menu Tour, Amazing Classic Mode Art, & Spirits Galore! YouTube. Retrieved November 3, 2018. ↑ 80.0 80.1 PapaGenos. (November 21, 2018). Leakly Updates Cloud Was Last - PapaGenos. YouTube. Retrieved November 21, 2018. ↑ Mewtwo vs Zelda 2. YouTube. Retrieved November 19, 2018. ↑ 83.0 83.1 83.2 83.3 GameXplain. (November 19, 2018). 10 Minutes of World of Light in Super Smash Bros. Ultimate Gameplay! (Adventure Mode - Direct Feed!). YouTube. Retrieved November 19, 2018. ↑ 85.0 85.1 Nintendo Life. (November 19, 2018). Smash Ultimate: Spirits Board Gameplay. YouTube. Retrieved November 19, 2018. ↑ Super Smash Bros. Ultimate: Nintendo Holiday Experience Clip (Chrom/Richter/Bayonetta/Lucina). YouTube. Retrieved November 19, 2018. ↑ Myran (Olimar), KidG (Simon), Frostehy (Chrom), Foxy Asian ( Yoshi) Super Smash Bros Ultimate. YouTube. Retrieved November 19, 2018. ↑ Iggy. (June 16, 2018). Yoshi Vanishes from Super Smash Bros. 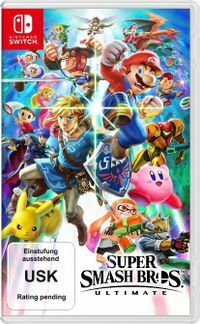 Ultimate's German Box Art. NintendoSoup. Retrieved June 16, 2018. 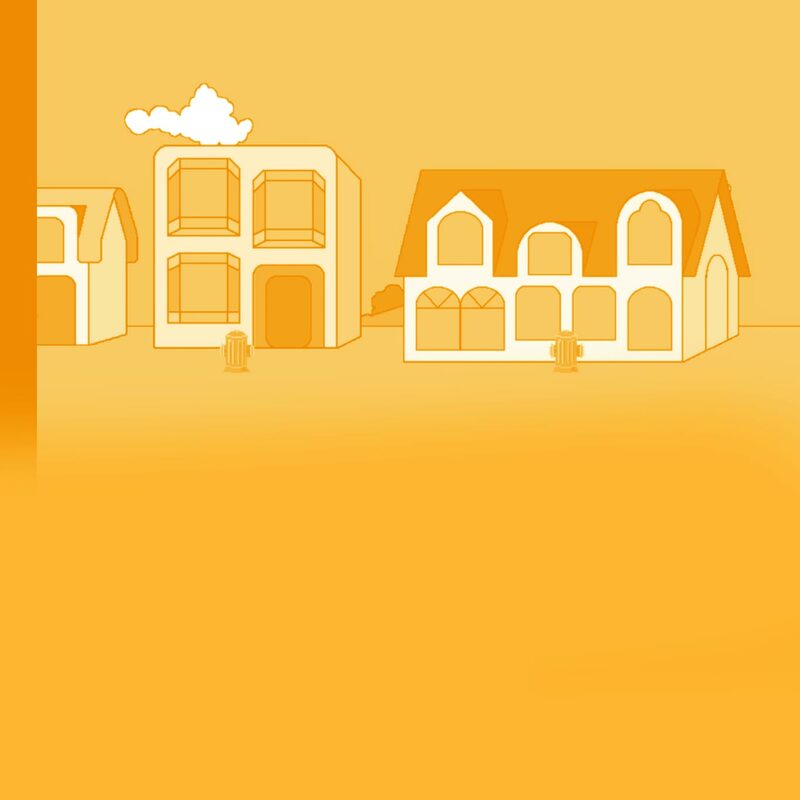 This page was last edited on April 25, 2019, at 19:29.